Pat Goodwin, Co-Principal of Drapkin Goodwin, successfully focuses her energy on meeting client needs while offering best practices to organizations and individuals in the areas of leadership, business training, executive coaching, and career management. Pat’s professional career of 25+ years includes a thriving consulting practice and past experience in business / franchise ownership and start-ups. Prior to forming Drapkin Goodwin, Ms. Goodwin opened Pat Goodwin Associates, an executive coaching and outplacement boutique company. Pat excelled in helping clients assess and achieve career goals, identify core competencies, develop high-impact resumes, and behavioral based interviewing skills. Pat was recruited by Reedie-York, an Austin boutique, outplacement firm to work with senior executive clients. She was then recruited to join DBM, now Lee Hecht Harrison, a $MM international human resource, outplacement and executive coaching organization as Lead Consultant. Promoted to Managing Consultant, she was tasked with staffing three career centers hiring 30+ adjunct consultants to accommodate large scale layoffs in the Austin area. Pat handled HR tasks including training, shaping corporate culture, hiring/firing, and performance reviews. Initially, Pat entered the local Austin business scene after acquiring Austin Career Consultants, Inc., which she ran as a flourishing and profitable enterprise for nearly 13 years. Her company was frequently recognized as one of the Most Reputable Recruiting Firms in Texas. Pat acquired Career Consultant Temporaries as part of a Franchise, Meador Brady Staffing, in Pasadena, Texas. She ran both companies effectively meeting the hiring needs of Austin businesses. 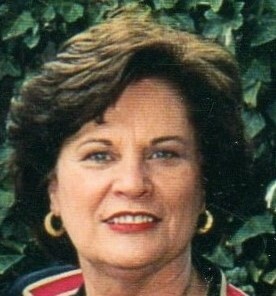 Pat received a Business Management degree from Concordia University in Austin, Texas. She is certified in the Lominger Career Leadership Architect and is a Certified Personnel Consultant. Ms. Goodwin received the prestigious Norval Locke Award for lifetime achievement from TAPC in which she is also a Life Member. She was the co-founder of Capital City Association of Personnel Consultants as well as having served as president and board member. She was also past president and board member of the Texas Association of Personnel Consultants as well as former board member of the American Society of Training and Development and Austin Human Resource Management Association. She continues to be active in the Austin community and is a member of AHRMA and SHRM.